The Australian rugby team is one of the most fearsome on the planet with some of the most iconic and powerful players in the game today. 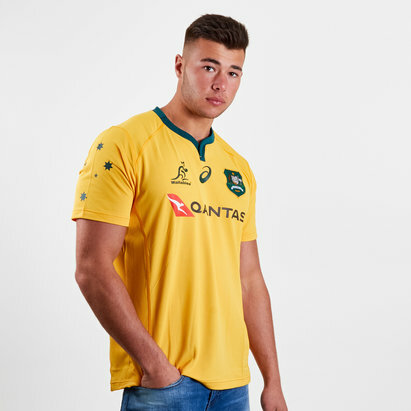 Just as iconic is the gold and green Australia rugby shirt which strikes fear into opponents, and you can get yours now at Lovell Rugby to show your support for the Wallabies. With a collection of shirts available you can cheer the team on from the stands or your sofa in this stylish shirt, and even add a name and number for £9.99 to really look and feel like part of the team.